Skydrive, iCloud and Amazon Cloud Drive users have all been treated to upgrades recently, and now Box has announced a bunch of improvements are coming to its cloud platform for businesses. The portal header has been redesigned with a focus on searching and navigating quickly, and you can find other users at your company that bit easier, too. Additionally, Box Edit is ready to drop its beta suffix and, as long as you've got the relevant program installed, you can create files, edit them and save right back to the cloud from within the system. 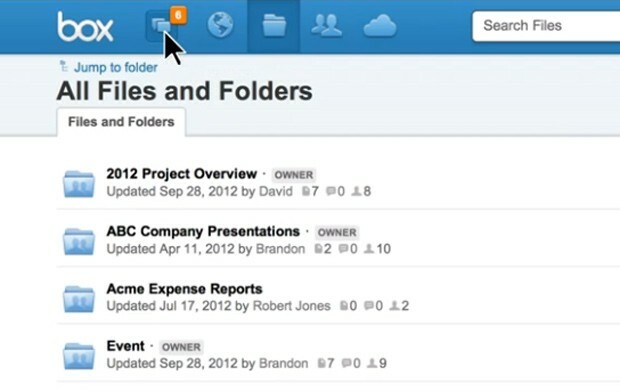 And, if you didn't think the whole experience was social enough, an added 'like' feature for files will help you keep up with the latest trending process docs. The updates are due to roll out "over the coming weeks," but until then, why not let an extremely sincere Box rep walk you through them in the video below. Box announces new features: improved search, file editing and a more social UI (video) originally appeared on Engadget on Thu, 11 Oct 2012 00:51:00 EDT. Please see our terms for use of feeds.